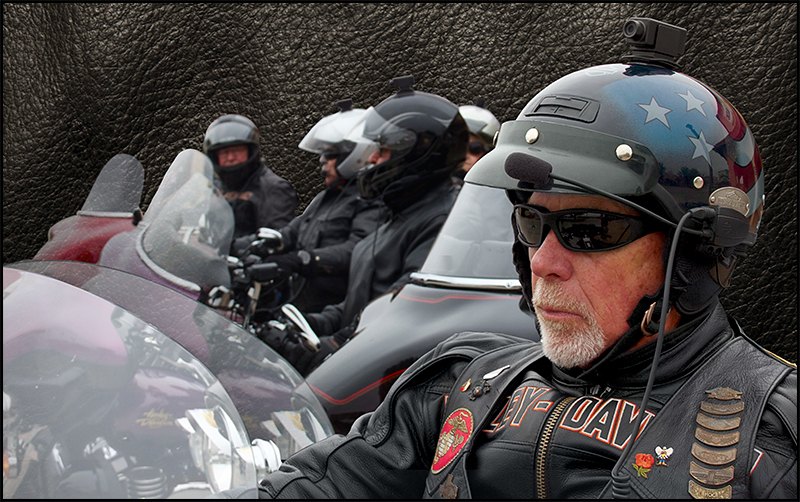 Bikers can roll down the highway, capturing scenery, bikes, and buddies in full, wide-screen HD 1080p. 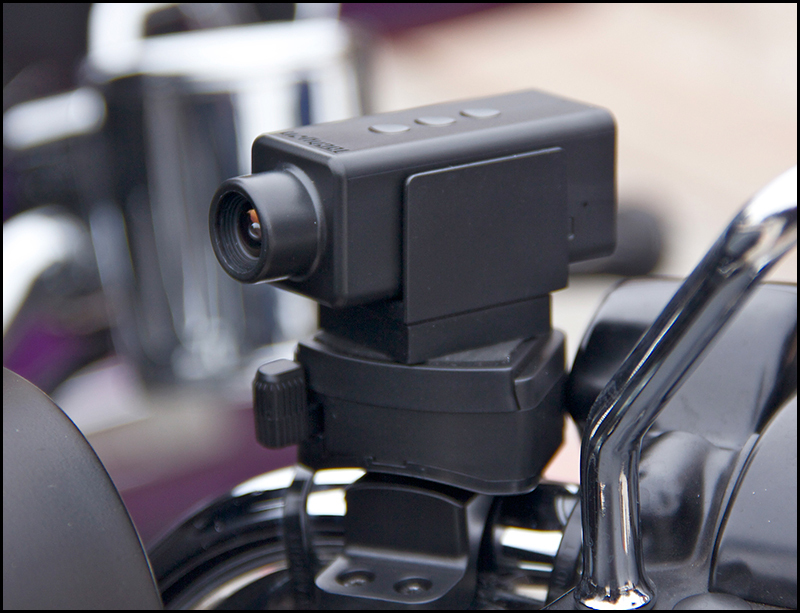 The BikerCam HD 1080p is engineered for shooting forward in outdoor areas, rather than in close, enclosed areas where a fisheye lens is needed. 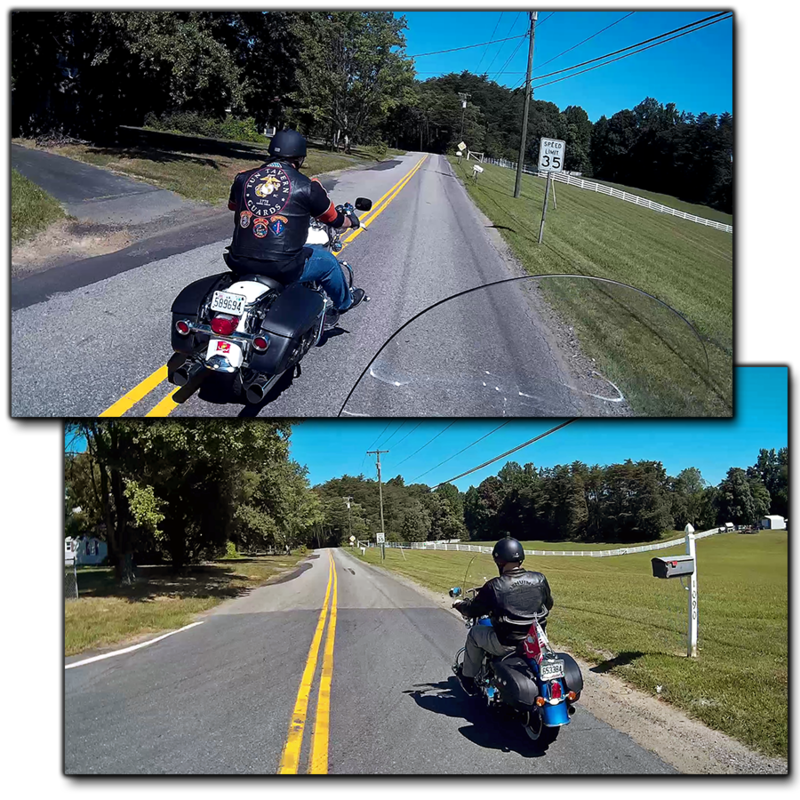 BikerCam’s image therefore looks more natural, with distant objects not too small to see and close objects not distorted. 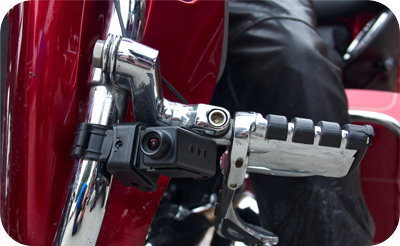 For continuous recording while riding, the BikerCam can connect to your bike’s power via the included 3’ USB cable and the bike’s USB or 12V socket. The package includes a 12V adaptor plug. 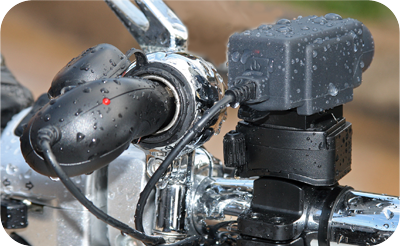 When connected to your bike’s power, the BikerCam will start up and start recording whenever you turn on your power. It will then stop recording and turn off when you power down your engine. 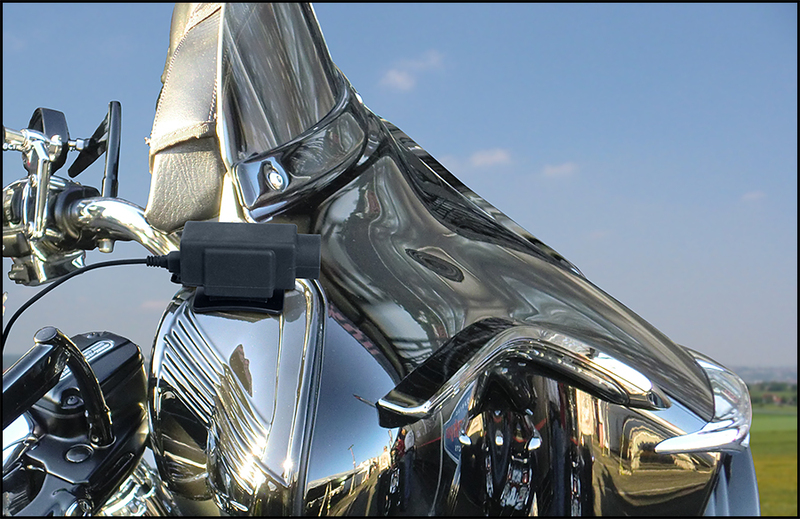 When you are recording the cable will continuously charge your BikerCam, removing the need to worry about battery power. 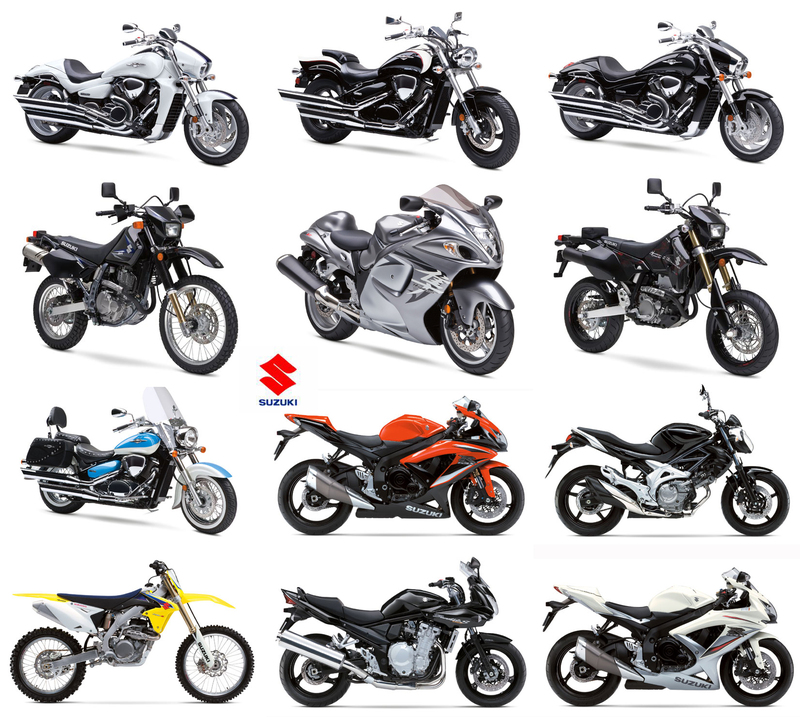 There is also no need to worry about the space remaining on your memory card because BikerCam makes use of looping technology to overwrite you oldest files with your most recent videos. This allows you to run your camera nonstop and remove important video files only when you feel the need to preserve a recording. An optional time & date stamp reminds you of when your video was taken. 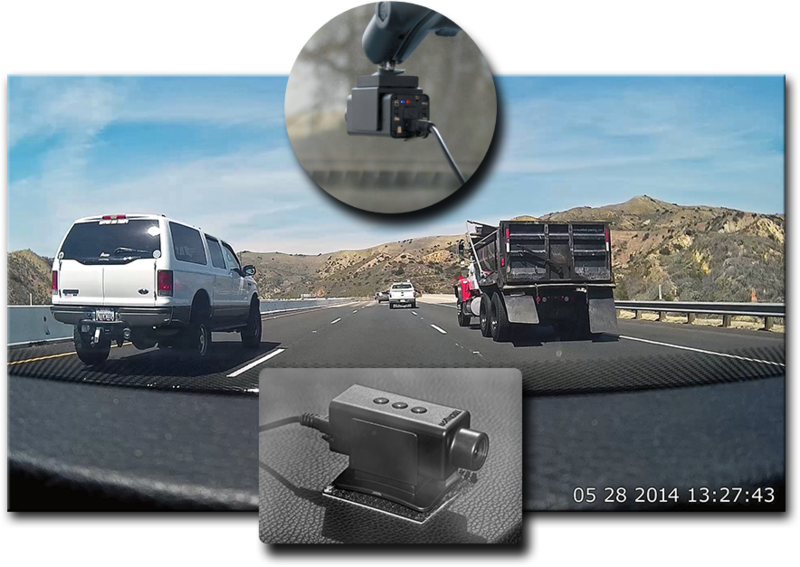 1080p Full-HD Super-Sharp Video, shoots wide-screen videos without fisheye distortion. Auto-Start & Stop recording at ignition and shutdown of engine. 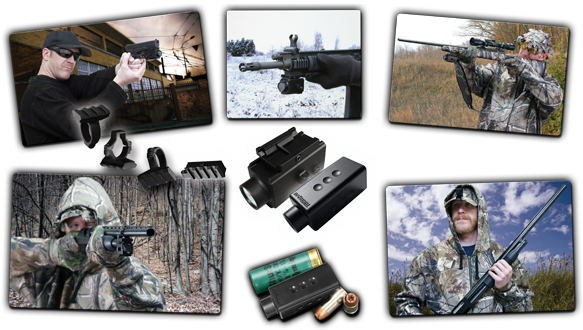 1/3″ CMOS High-dynamic sensor & high-speed CPU. For quick light transition & low-light night riding. Looped recording automatically overwrites older files. 2+ hours 1080p recording on Lithium rechargeable battery. Longer recording time on 720p. Optional time and date stamp. 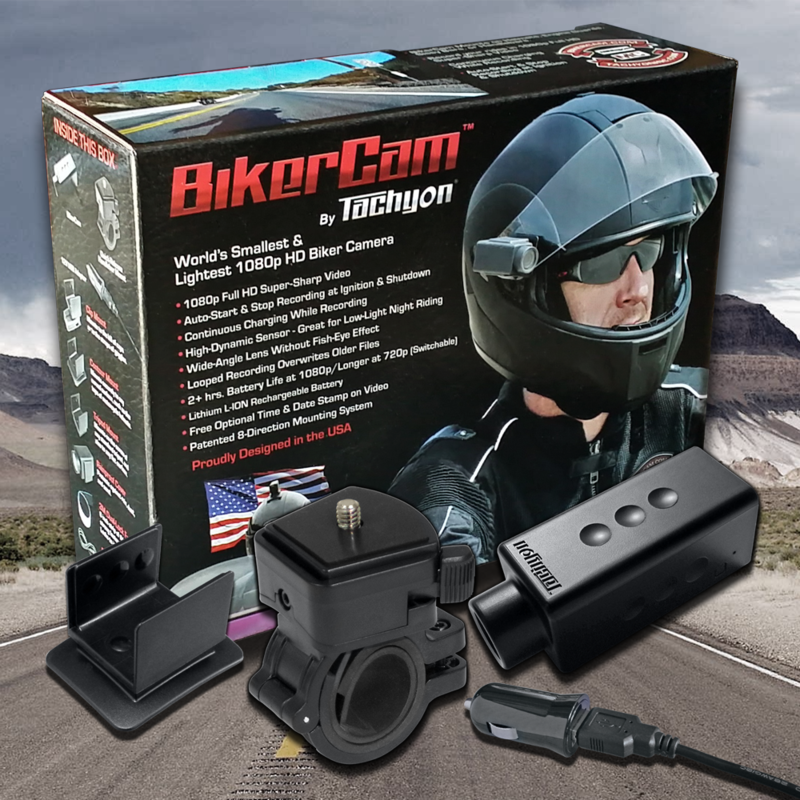 Included with the BikerCam System are the BikerCam HD 1080p camera, Quick-Release Handlebar Mount, 3 foot USB Charging Cable & 12V adapter, Rainproof Cover, Contour Mount for helmet mounting, Tripod Mount, Clip Mount, safety tether, and a strip of 3M Dual-Lock Fastener. 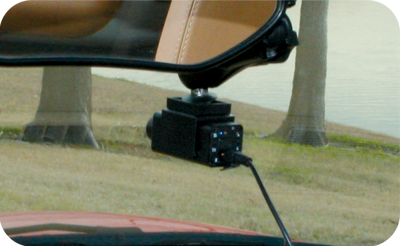 Since most bikers also drive, they will be pleased to know that the BikerCam makes a terrific dash cam. 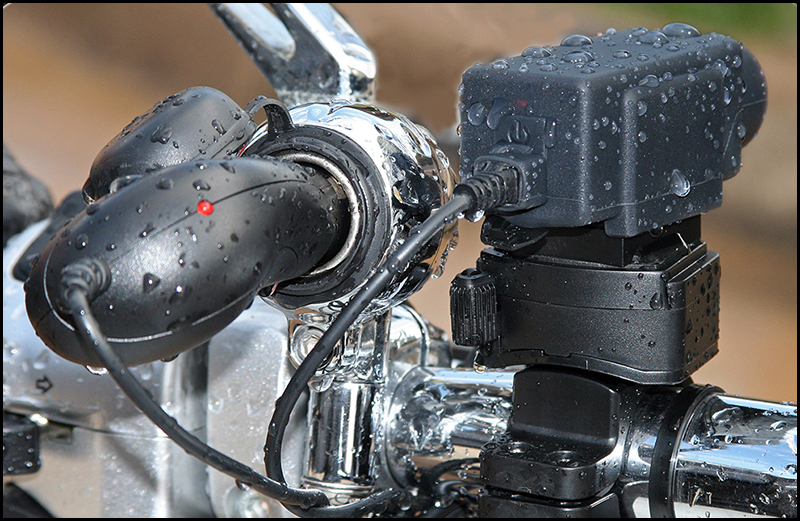 As when mounted on your bike, it will start and stop recording along with the ignition and shutdown of the engine. An optional time & date stamp reminds you of exactly when your video was taken. 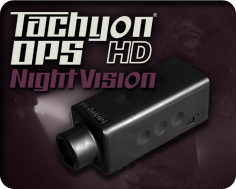 BikerCam System can be purchased online for $229.99 from our website: tachyoninc.com, or from Amazon.